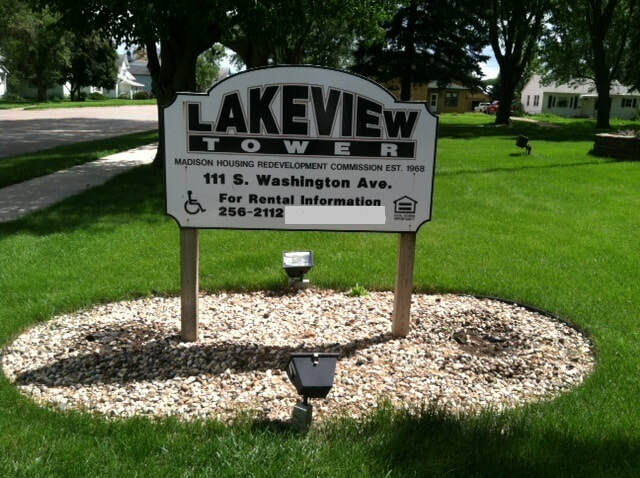 Lakeview Tower is a 12 story, 94 unit, public housing project located at 111 South Washington Ave., Madison, SD. Click here to open the pre-application form for Rental Assistance. Print application, complete it and mail to MHRC. Read instructions below for details. Welcome to the slideshow of photos showing our apartments. 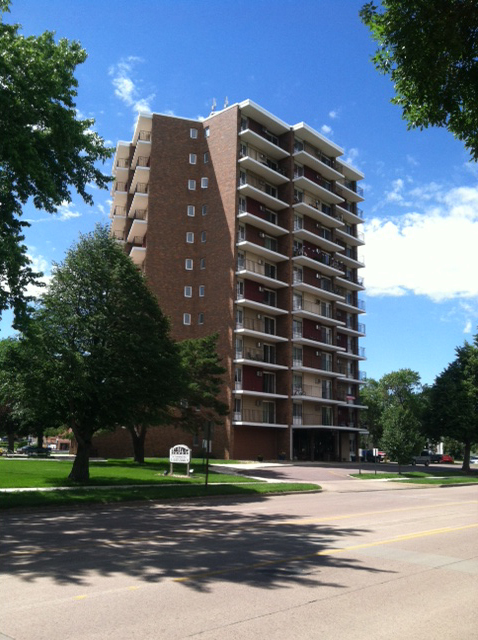 LAKEVIEW TOWER, a 12 story high, 94 unit housing project located at 111 South Washington Avenue, Madison, South Dakota. ​ The Tenant Services major goal is to be aware of and sensitive to the problems of the tenants by providing appropriate referrals to the proper community service agency. The community room at Lakeview Tower is utilized with varied activities. Tenants use the room for activities such as parties, reunions, outside entertainment, and other activities. BINGO is scheduled on a monthly basis for all tenants with prizes to be won. A color television in the community has been provided for the tenants' use and enjoyment. Cable TV is available in all apartments through the Tenant's Organization. A regulation size pool table is set up in the community room and enjoyed by many.